He is Greg Ryder, a Dunedin-based director of Ryder Environmental, who brings freshwater technical expertise to the panel. He joins Greg Hill (chairperson), Basil Morrison, Trevor Robinson and Sheena Tepania. 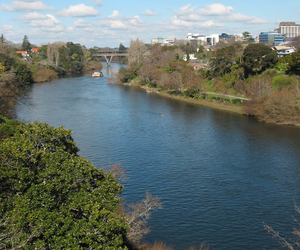 The panel will be responsible for hearing and deliberating on submissions to the proposed plan change for the Waikato and Waipā rivers, and then making a recommendation to the council. A co-governance approach – involving the regional council, River Iwi and Waikato River Authority – was adopted in appointing the commissioners. Five commissioners were appointed in December 2017 but the council had to undertake a further process to fill a vacancy created as one of the commissioners became unavailable. The recommendation to appoint Mr Ryder from the Healthy Rivers Wai Ora Committee was backed by the council at its meeting in Hamilton on Thursday, 28 June, who formally approved his appointment. Mr Ryder’s appointment follows a rigorous selection process and robust evaluation criteria that had been approved by the Healthy Rivers Wai Ora Committee and council. The hearings commissioners bring a robust and balanced mix to the table with special technical expertise in resource management planning, resource management law, rural community and farming knowledge and mātauranga Māori/tikanga perspective.